Jia 88.3 FM or 883Jia FM previously known as Dongli 883FM is streaming live from Bukit Merah Central, Singapore. 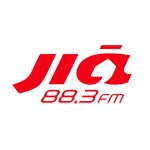 The Jia 88.3 FM broadcasting 80s, 90s and today favorite music in Chinese and English. The Jia 88.3 FM is the 2nd most popular Chinese radio station in Singapore.